Our firm is devoted to helping our clients—insured individuals and elder law and personal injury attorneys—navigate the complicated and costly world of medical insurance. Our medical bill advocates help ensure that all medical insurance claims are processed and paid correctly. MedWise Insurance Advocacy delivers these financial solutions by providing patients and their families as well as attorneys with an experienced insurance liaison to sort through and resolve their mounds of medical bills, medical lien claims, insurance pre-authorizations, denied medical claims, medical letters of appeal, understanding explanation of benefits and advocate for patients or legal clients regarding any medical insurance issues that arise or require expert attention. Our medical insurance advocacy services support elder law and personal injury attorneys and patients who are trying to recover medical reimbursements. We are medical bill advocate experts at assisting personal injury attorneys with auditing and analyzing liens on personal injury medical bills. Medicare, Medicaid, and commercial insurance reimbursements. MedWise Insurance Advocacy works with individuals regarding their health insurance coverage, medical bills and claims, handling all communication and paperwork with the health insurance carriers. We are the bridge between patients and health insurance companies, acting on your behalf to get claims passed, ensure the highest coverage allowed, and enable patients and their families to rest easy knowing their health insurance matters are in expert hands. 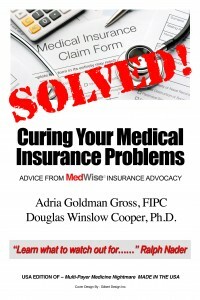 Contact Adria Gross today for a free consultation on how MedWise Insurance Advocacy can help with your medical insurance claim or coverage issues: (845) 238-2532 or e-mail us today. Adria Gross, CEO and founder of MedWise Insurance Advocacy and MedWise Billing, Inc., is a New York State-licensed insurance broker and consultant. She has over 25 years of experience in the insurance business, working extensively with the medical community and numerous insurance companies, handling credentialing and medical billing. Ms. Gross began her career as a claims examiner for Blue Cross/Blue Shield, then went on to claims and underwriting for American International Group before starting MedWise Insurance Advocacy (a division of MedWise Billing, Inc.). She is certified in medical billing and medical claims consulting. Ms. Gross is an active member of many professional organizations including the American Medical Billing Association, Alliance of Claims Assistance Professionals, and American Academy of Professional Coders. 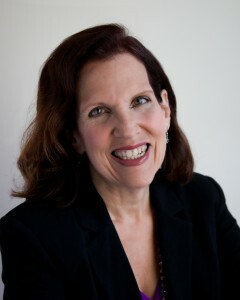 She also serves on the board of Insurance Professionals of Orange County (New York). She holds degrees from Lasell College and Lesley University, and certifications for medical billing from Orange County Community College. An active member of her community, Ms. Gross is also a graduate of Leadership Orange, a training program designed to help Orange County, New York residents become leaders and advocates for businesses and residents in their communities. 2013 – YMCA Special Award in Appreciation for Spirit, Drive and Dedication in Bringing a Y Presence to Southern Orange County, New York.